CA Technologies is one of the world’s largest software companies and serves Fortune 1000 companies, as well as governments, educational institutions, and thousands of other companies, in a range of diverse industries worldwide. It offers transformational IT management software and solutions that help drive enterprise-wide productivity, offer differentiated user experiences, and open new growth opportunities. CA Technologies offers professional training across the full range of its software solutions and engages over 30,000 learners annually. Learners include internal audiences, partners, and customers. PulseLearning with CA Technologies won an Excellence in Vendor Partnership Bronze Award at the prestigious 2015 Chief Learning Officer, Learning in Practice Awards. The CLO Learning in Practice Awards recognize learning leaders who demonstrate excellence in the design and delivery of employee development programs through a combination of qualities such as leadership, vision, business acumen, and strategic alignment. In 2013, as part of a dynamic initiative to transform its educational performance, CA Technologies identified a number of key learning goals that needed to be met. Having a trusted flexible outsourcing partner who understood CA Technologies’ goals and could be a major contributor to achieving them was paramount. PulseLearning’s overall goal was to transform training solutions at CA Technologies, with the specific goal of delivering content at product release time. This goal was inextricably linked to an overall need to lessen dependence on subject matter expertise that resided outside the organization’s direct span of control. CA Technologies seeks to deliver tailored, learning solutions to learners using an appetite-based learning approach, thereby transforming the learning experience and ensuring learners are in the driver’s seat determining how and in what ways they would like to learn. In 2013, as part of its latest dynamic initiative to transform its educational performance, CA Technologies identified a number of key priorities to address. CA Technologies adopted the Agile software development methodology. As part of the methodology, a new ambitious target was set to release training at the same time as product releases (at Product GA). It had been shown that failure to have product training available at the product release date was having a negative impact on the sale of training solutions, customer satisfaction, and ultimately, the organization’s overall competitive advantage. CA Technologies had a heavy reliance on Subject Matter Experts (SMEs) for product knowledge. These SMEs were critical to the creation of raw content and courseware reviews. On many projects, the initial draft of content was created by the SMEs before being passed to the Instructional Design team. However, many of these SMEs work within other functions of the company, not the education team, so the demands of their primary roles greatly affected their availability for education and training tasks. The software educational landscape is highly dynamic and as the needs of learners evolve, CA Technologies is constantly looking to improve and transform their educational offering. The advent of Agile and rapid product release approaches highlighted the absolute need to have cost-effective, scalable, and reliable outsourcing partners more than ever before. To meet these ambitious goals set by CA Technologies, PulseLearning partnered with the CA Technologies education leadership team to identify a number of key learning strategies that needed to be implemented. Flexibility was key. PulseLearning also needed to be agile and offer CA Technologies a range of new engagement types. Product Knowledge Instructional Designers (IDs): PulseLearning worked with CA Technologies to identify a list of products that were instrumental to CA Technologies’ business strategy. Members of their core Senior Instructional Design team were then aligned to each of these products. These Product Knowledge IDs ‘lived and breathed’ their chosen products for several weeks adopting a ramp-up path that included many critical elements. PulseLearning also made strategic hires to their development team, bringing on board IDs who had previous experience creating content and training materials for CA Technologies products. The end goal was for PulseLearning’s Product Knowledge IDs to become de-facto SMEs, capable of building conceptual and technical content with little to no formal SME support from CA Technologies. To respond to the changing needs of CA Technologies’ learners and embrace the goal of driving an appetite-based learning approach, PulseLearning partnered with CA Technologies to re-design its existing learning asset inventory. Existing learning assets were modified and broken down to advance the move from the classroom (instructor-led training (ILT)) to the umbrella of self-directed learning offerings. The days of traditional ILT courses of several days’ duration were no longer viable and had become cost-prohibitive. ILT courses were ‘chunked’ into distinct learning nuggets, selecting the best medium for each message; they were replaced with short, snappy, bite-sized, self-directed offerings. Training was made available, tailored to the learner, and accessible when needed most. The new offerings maintained the flexibility yet could still be constructed for ILT, if the appetite of the learner warranted that treatment or experience. With rapid product release cycles and the associated pressure on CA Education to match the pace of development, it became critical that CA Technologies optimize the use of its resources. Some of the CA Technologies team performed several functions, for example, a SME would create an eLearning ‘build’ and create voiceover audio, fulfilling the primary function of content creator and reviewer. PulseLearning needed to support CA Technologies on specific components of certain projects, for example, audio, course builds, and graphic work. PulseLearning gave CA Technologies the bandwidth to ensure that its own resources only worked on tasks that only they could do. PulseLearning offered CA Technologies’ education organization a highly flexible engagement module, catering for an Agile approach and allowing for rapid turnaround on key sections of projects versus serially threading a whole project. This flexibility became the cornerstone for strengthening the relationship between the two organizations. Training is now delivered at the date of product release for all key CA Technologies products and solutions 100 percent of the time, with a blended result of 65-percent reduction in time to market. There is a blended reduction rate of 79 percent in SME time on projects that have Product Knowledge IDs in operation. The learning assets for 100 percent of CA Technologies’ key products and solutions have been converted to have a self-directed or blended learning suite of options within one year of the start of this transformation. The size of the average training asset has decreased from a three-day duration to under one-hour module packs. 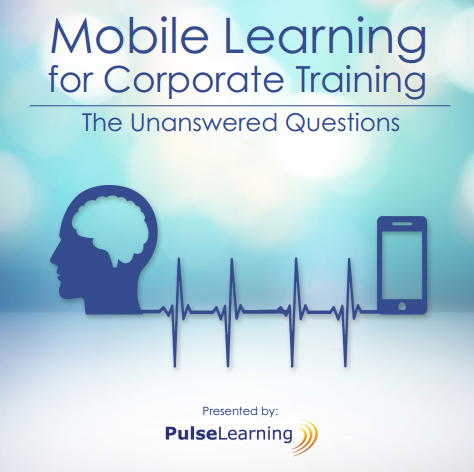 The ability to use a host of development tools and techniques provides a solid level of flexibility in the treatment of what PulseLearning offers.